Last week I searched for rings in Gent, and found 4 of them. 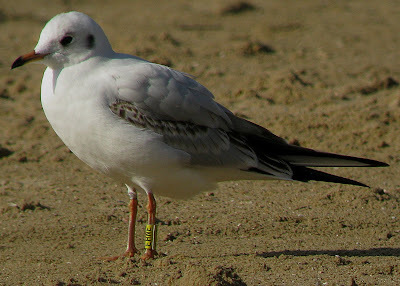 1 Belgian metal-ringed Black-headed gull, 1 Polish (unfortunately I couldn't read the ring entirely), 1 Belgian c-ringed Black-headed gull (locally ringed, but strangely this bird is still in Gent, while most other recoveries now come from abroad), but the nicest was LBBG white H.K (RJ Buijs). 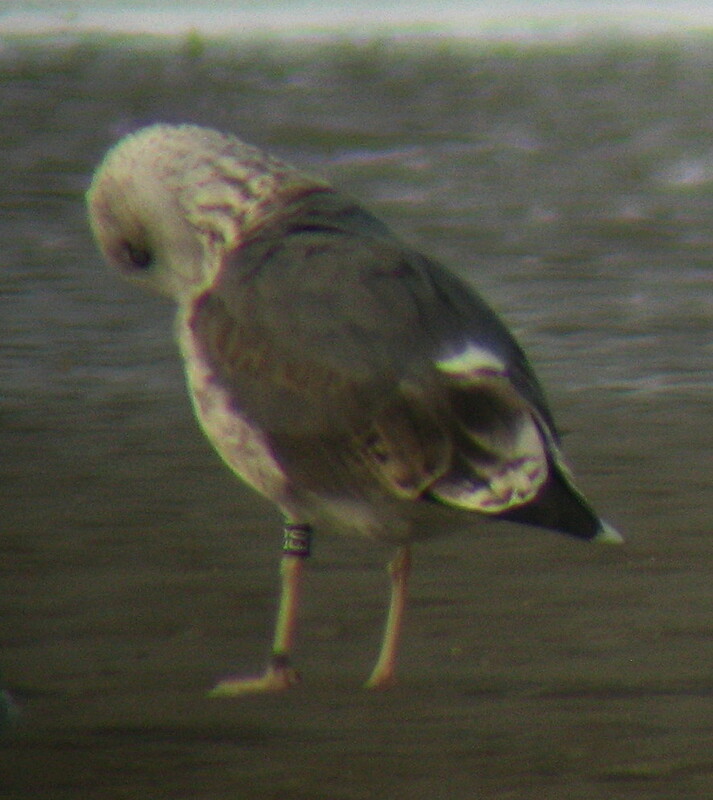 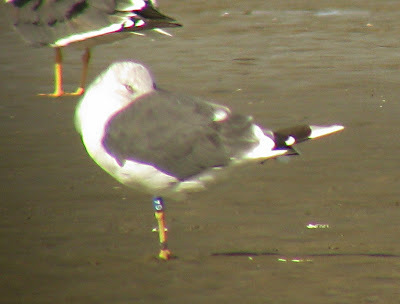 When I recieved the life-history, I saw that this bird had originally been ringed in Spain as orange N144, which I saw at exactly the same place in May 2003 (and this was only my second ring-reading ever!). Nice to see this one back, this bird is now 14 years old. 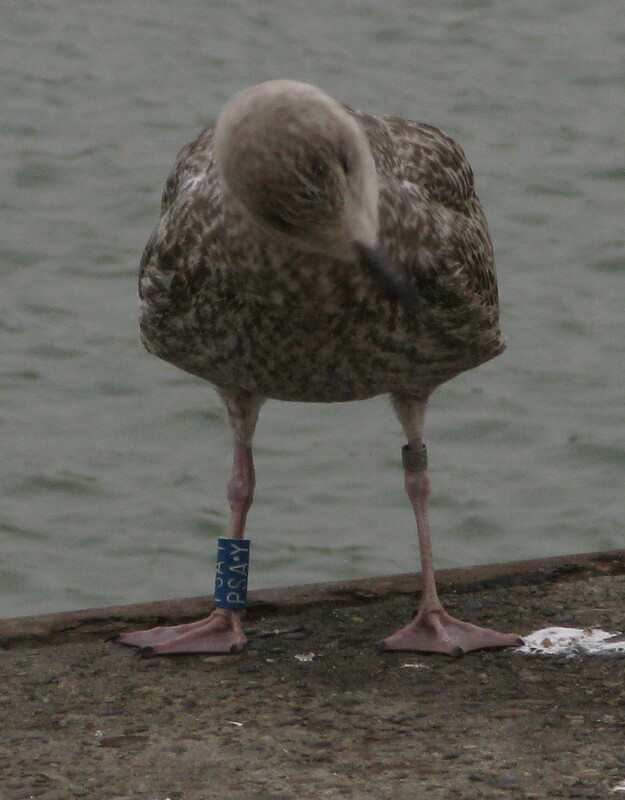 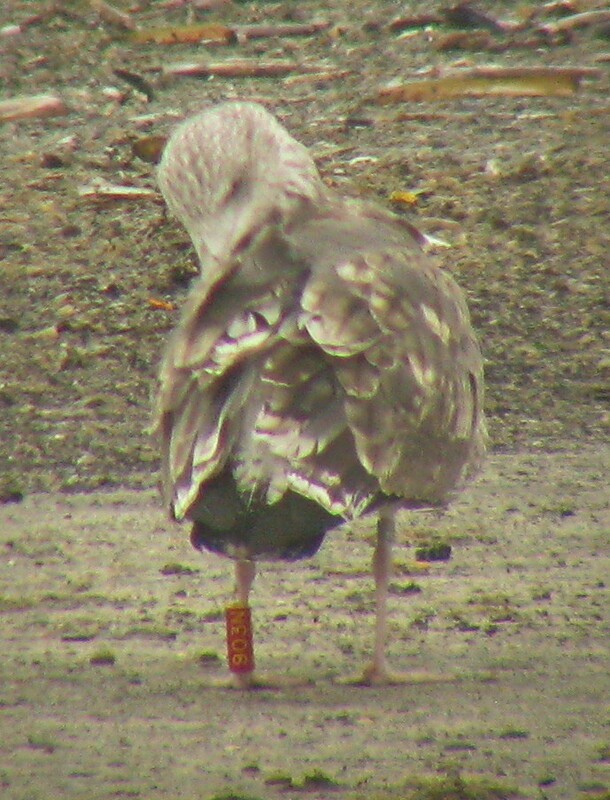 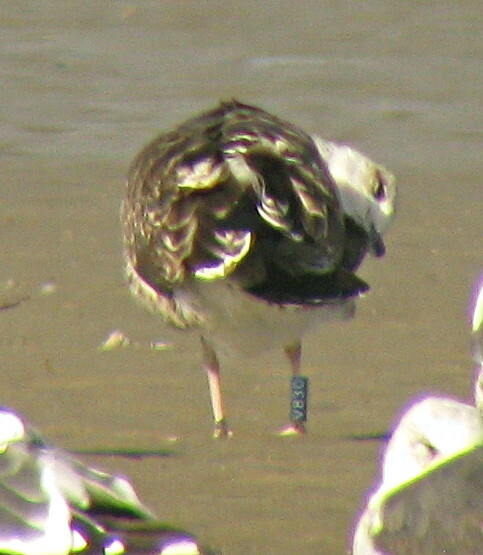 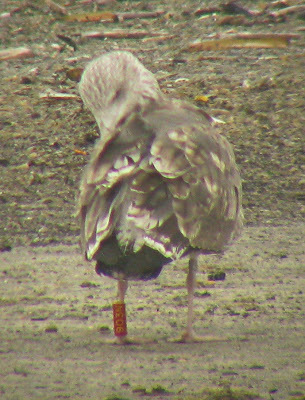 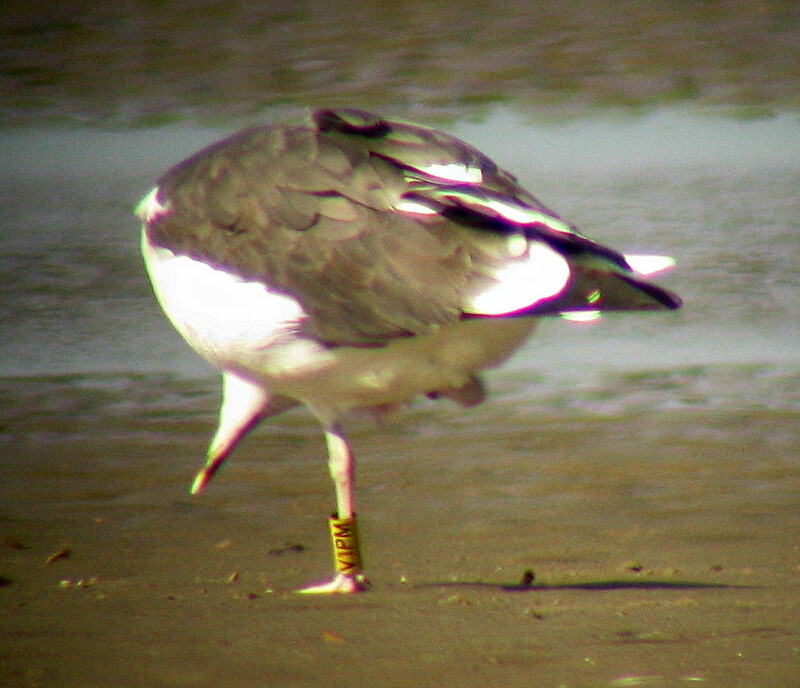 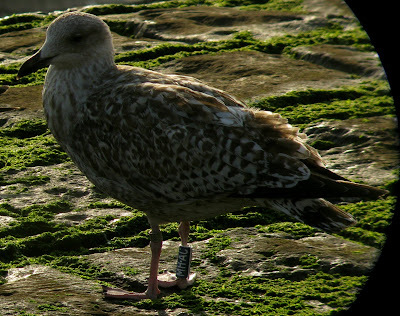 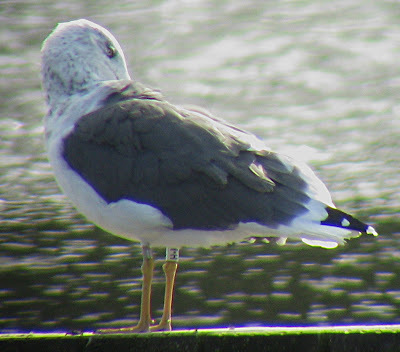 LBBG white H.K (RJ Buijs), originally ringed in Spain in 1998, and seen again at the same place as in 2003! Black-headed gull yellow EHNE (G Spanoghe), ringed close to the recovery-site, but nonetheless a nice sighting. Some days 100's of LBBG's were present, so still many birds have to get to their wintering grounds, all Spanish ring-readers can expect lots of birds to arrive within the following days/weeks! Herring yellow 5B (RJ Buijs). 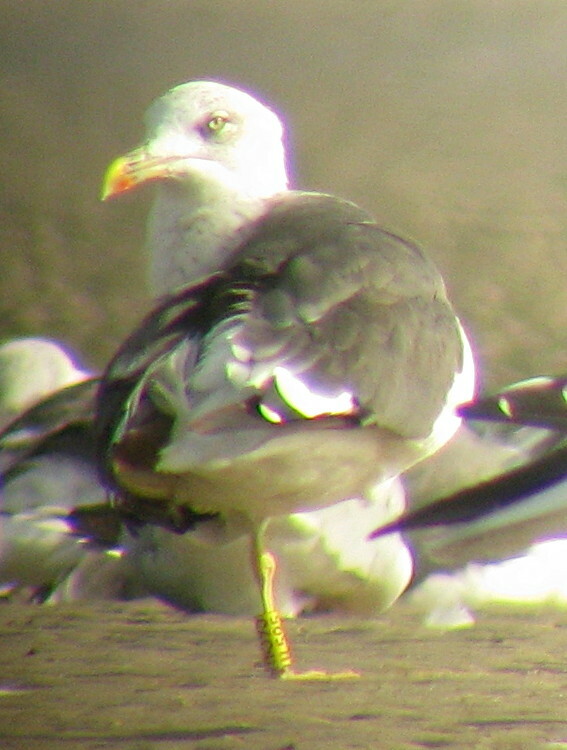 Herring yellow 16 (RJ Buijs). 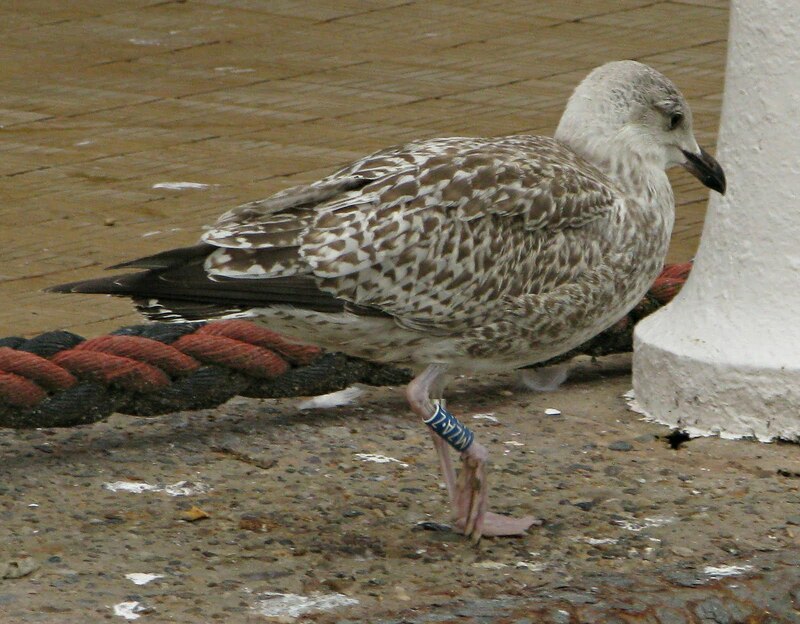 Herring blue PSA.Y (E Stienen). 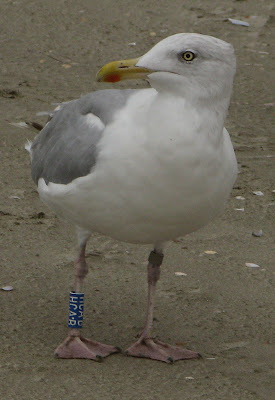 Herring blue MZA.Z (E Stienen). 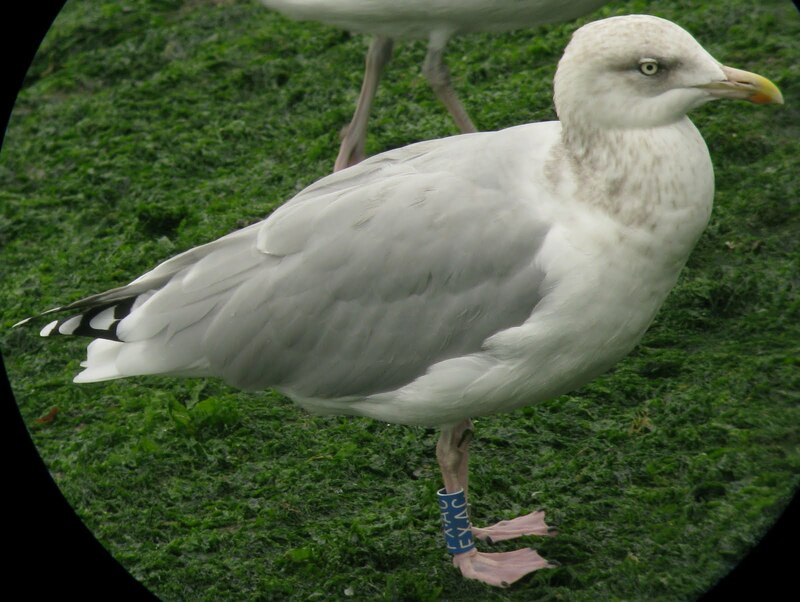 Herring blue MH.AC (E Stienen). 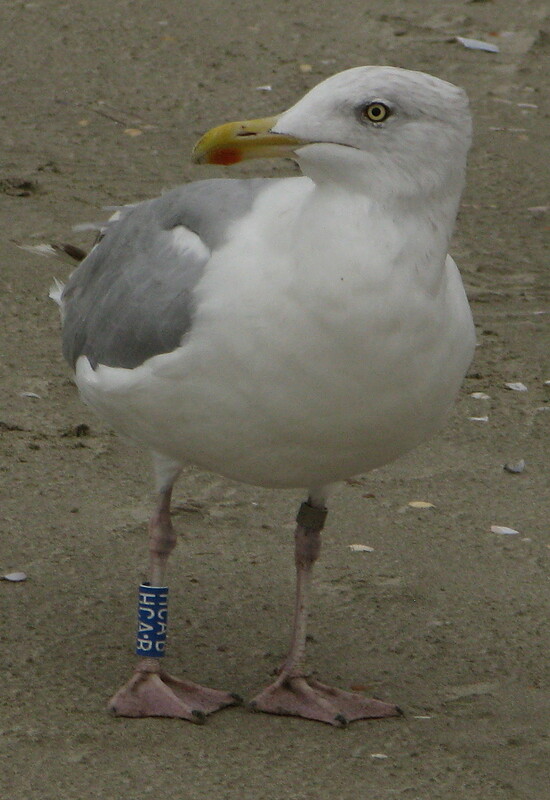 Herring blue M.FAC (E Stienen). Herring blue HCA.B (E Stienen). Herring blue FX.AC (E Stienen). Herring black/white PN A (JP Leys). 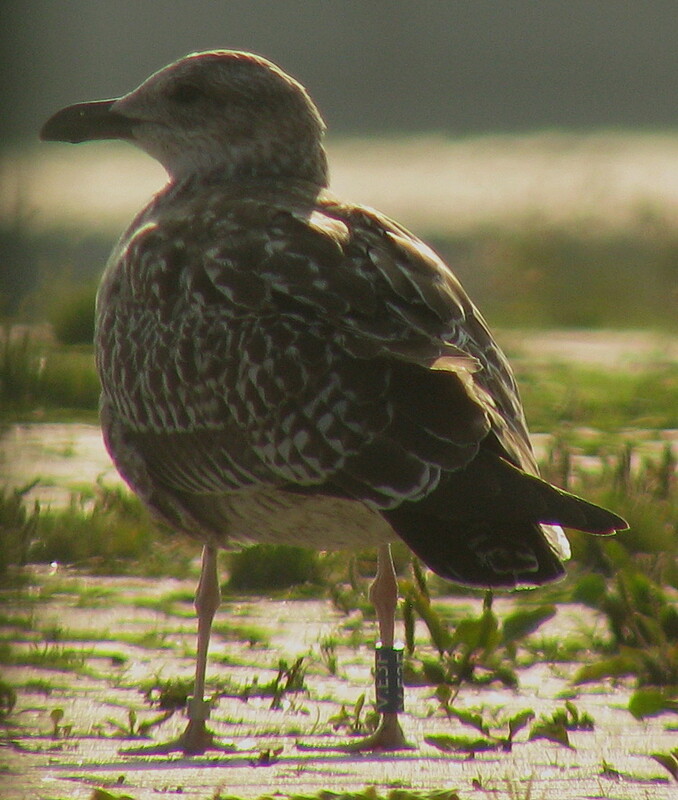 LBBG red 903N (PJ Dubois). 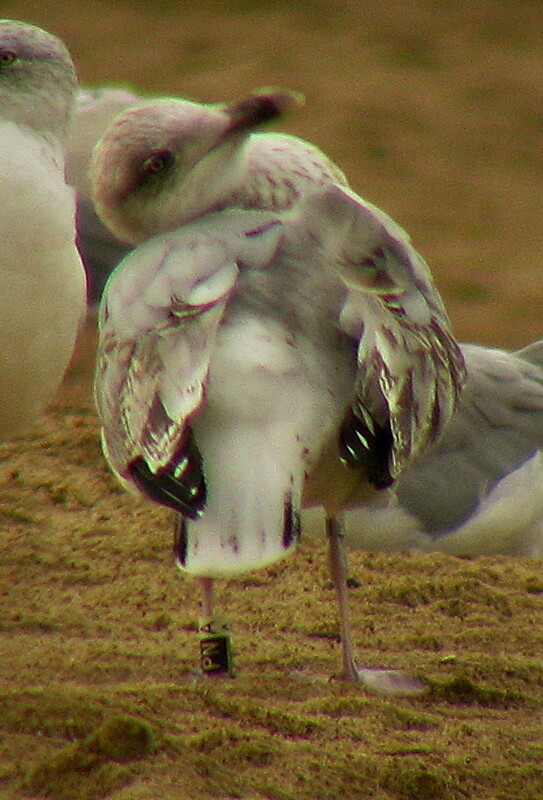 LBBG green Y.AKU (K Camphuysen). LBBG blue G4 (RJ Buijs). 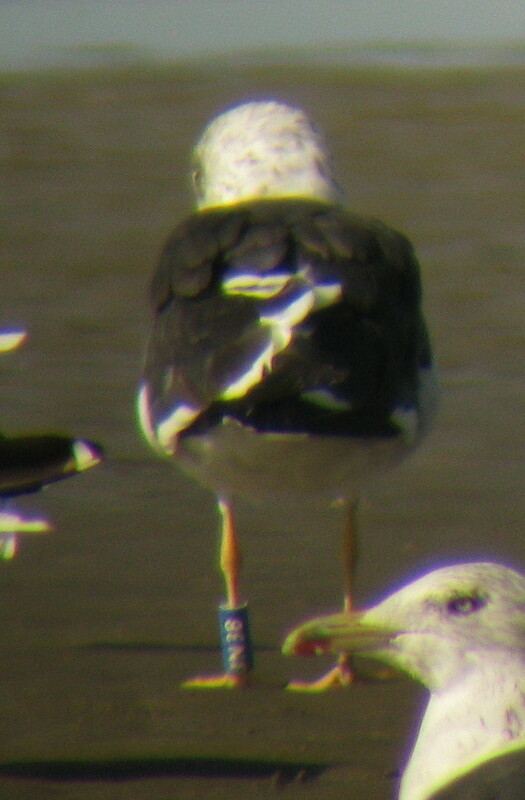 LBBG black E0 (RJ Buijs). 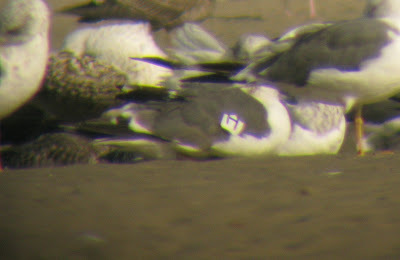 LBBG white TS8 (N van Swelm). LBBG yellow V977 (KT Pedersen). 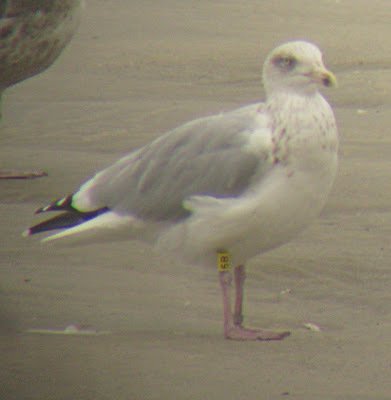 LBBG yellow V1PM (KT Pedersen). 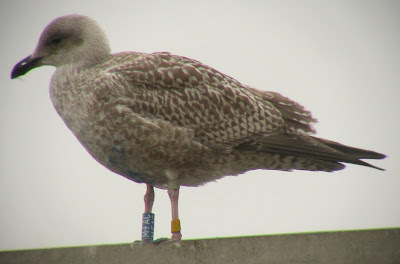 LBBG blue V.E3F (KT Pedersen). LBBG blue V.830 (KT Pedersen). 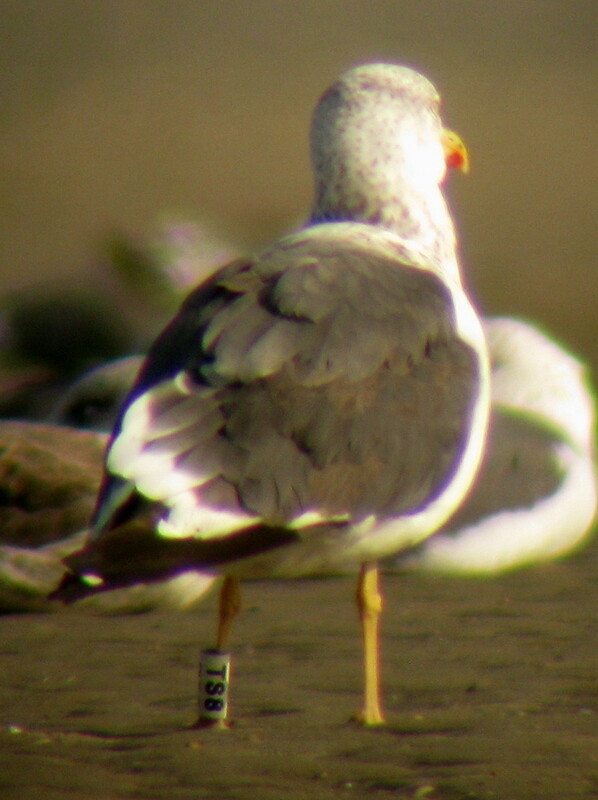 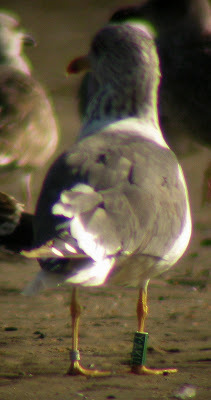 LBBG white wingtag H (Spain). 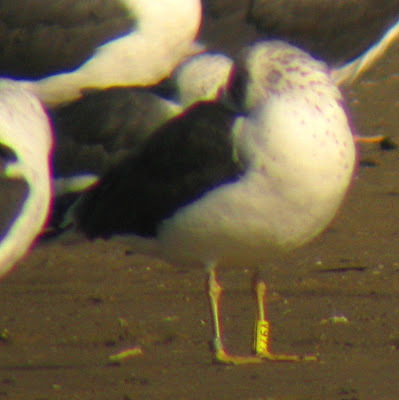 LBBG yellow H.595 (S Martens). LBBG yellow H.249 (S Martens). 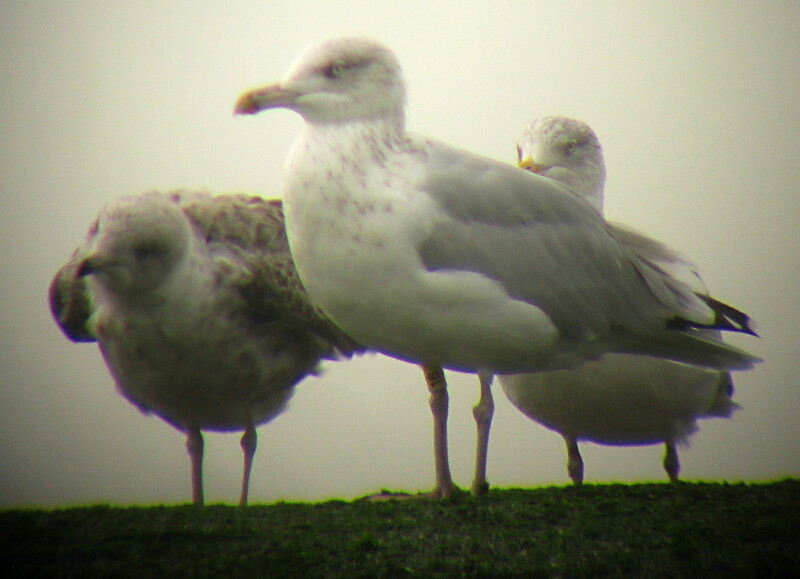 LBBG (intermedius) blue JN38 (N Lorentzen).